One-time or weekly scheduled pickup in the Beach area. Open 5 a.m. to 10:30 p.m. every day except Christmas. Beach Solar Laundromat is a self-serve laundromat with a very low carbon footprint. Solar thermal panels heat our water, backed up by an efficient gas boiler for cloudy days. 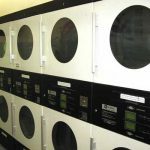 Washing machines cost from $2.25 per load, and dryers are $0.25 for six minutes.We have a change machine, soap machine and offer a warm, clean, safe, brightly-lit, affordable facility. The Ladies of the Wash and Fold operate a service for their customers, doing laundry for a $1.30 a pound. The Ladies run their own business, allocating the tasks and the profits among themselves. Their hours are M-F 7-7, Sat 8-5 and Sun 9-4. 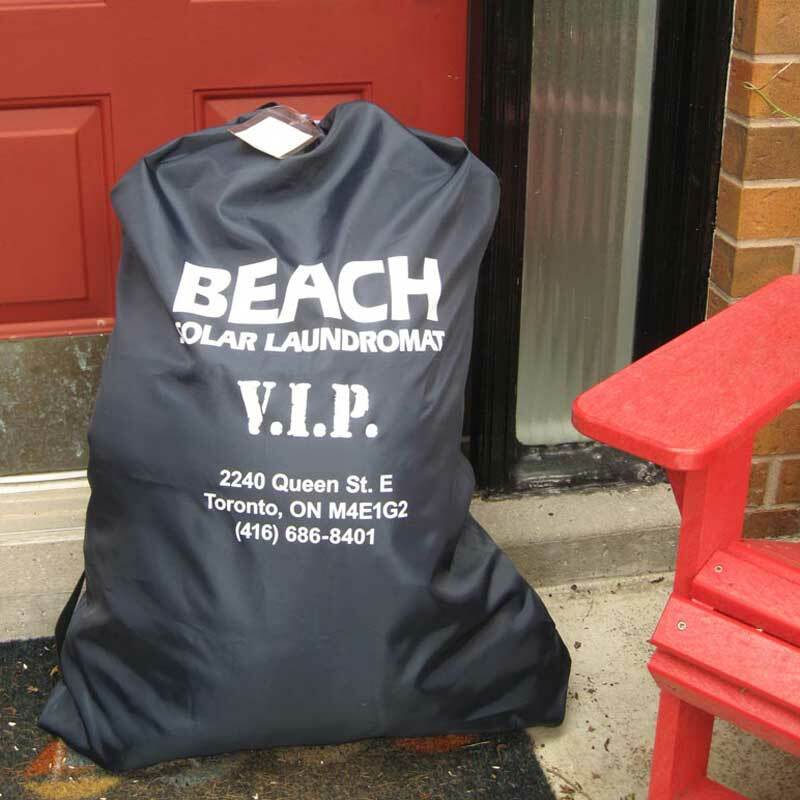 We now offer a Laundry Pickup & Delivery service for the Beach area. We offer a pay-it-forward program, where members of our community have anonymously pre-paid for laundry for people who are in need. There’s no paperwork, and no means test – it’s all honour based. The Ladies of the Wash and Fold implement the program. 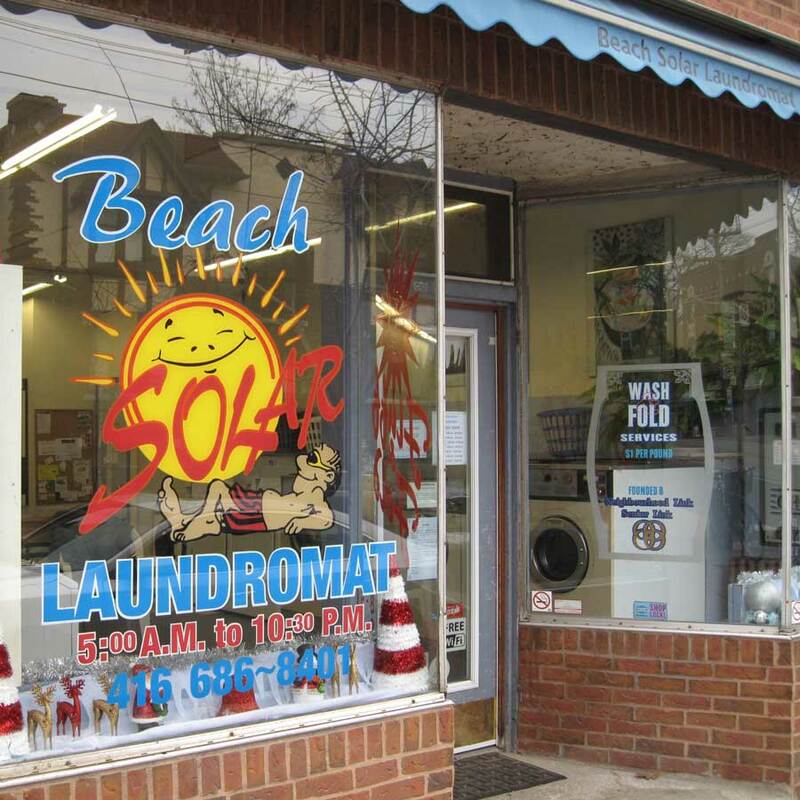 Beach Solar Laundromat has been an active member of the Toronto Beach community since 2002, sponsoring children’s sports teams, volunteering and giving tours of our solar thermal equipment, and has won environmental awards municipally, provincially, nationally and internationally. 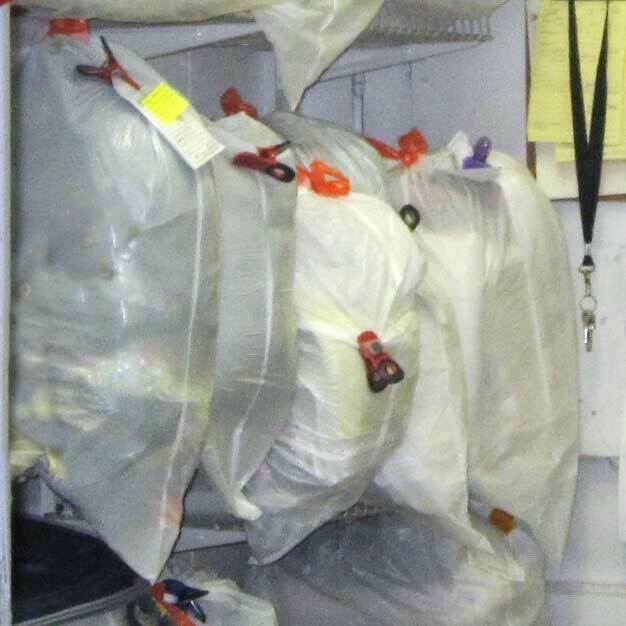 The Beach Laundromat began operation in 1964, and has been the longest serving Laundromat in the Beach. 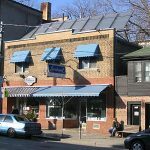 The current owner, Alex Winch, bought the Beach Laundromat in September 2002, and commenced a complete mechanical systems retrofit, dramatically improving the efficiency of the water heating, lighting and space heating systems. He re-branded the business as The Beach Solar Laundromat. Check out Beach Solar Laundromat on Yelp.